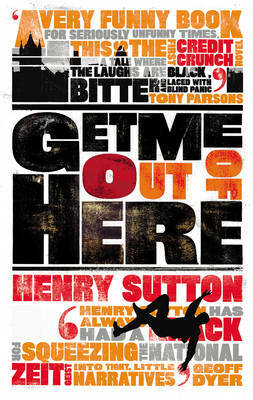 'Henry Sutton has always had a knack for squeezing the national zeitgeist into tight little narratives' - Geoff Dyer. It's autumn 2008 and Matt Freeman is having a very bad day. Stuck in Canary Wharf, he's overwhelmed by shoddy merchandise, hollow corporations and broken promises. Later that night, things only get worse when he drops in on his girlfriend, Bobbie, a fashion PR and reality TV show fanatic. As his London life spirals murderously out of control, Matt is forced to seek out old flames and consider North Korean business ventures. Sneered at by sales assistants, abused by cabbies and mugged by his own dreams, he searches for a final means of escape. "Get Me Out of Here" is a novel of comic anger, of success and failure, commerce and culture - and, fundamentally, belief - in a busted city.